Alfa Romeo the type TZ (Tubolare Zagato) as a roadworthy racing car at the Turin Motor Show in 1962. 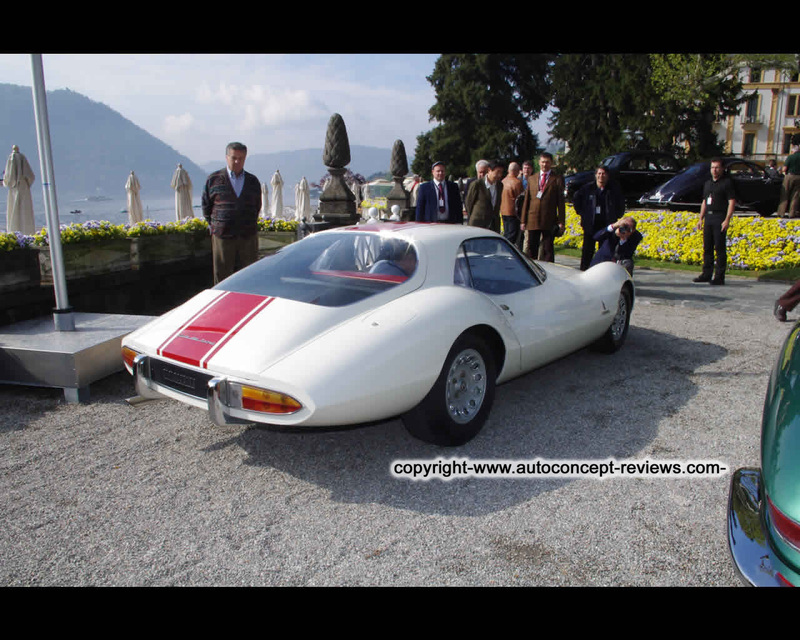 Consistent lightweight construction including a space frame and aluminium body enabled the weight of the sports car, based in other respects on the engineering of the Giulia 1600, to be reduced by 70 kg. Limited series production started in 1963 and came to an end in 1965 after only 102 examples had been produced with Zagato bodies. Most TZ sports car competed intensively in a wide range of races and often achieved leading places. 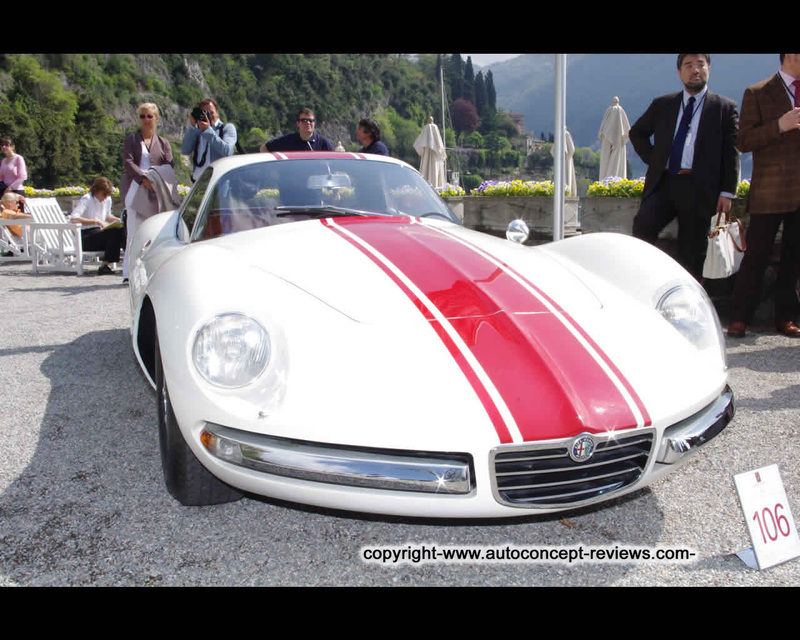 The car shown here is a one-off with a body designed by Pininfarina. The Alfa Romeo Giulia 1600 TZ2 Coupé Pininfarina 1965 concept car was presented in public for the first time in 1965 at the 47th Turin Motor Show. 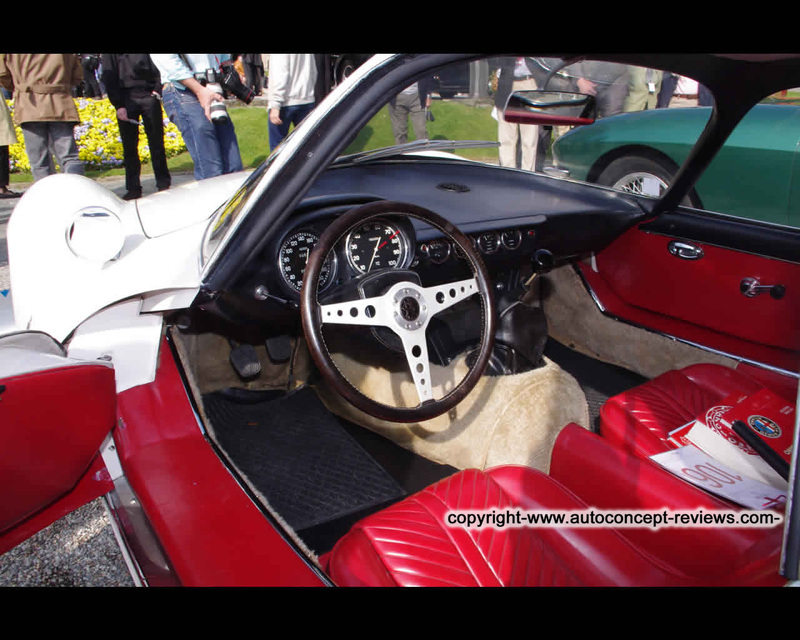 The car is currently in an unusual original condition and is still finished in the original paintwork.